Place in oven and bake for about 7-12 minutes (until golden). Melt 1 tablespoon of butter in the microwave, and paint finished biscuits with pastry brush. 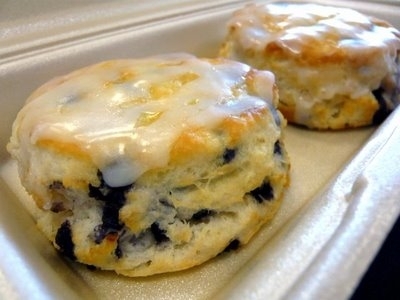 Mix glaze ingredients in a bowl, and drizzle over BoBerry Biscuits with a fork.